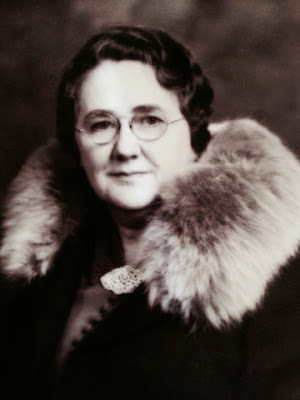 She also had awesome accessories. The recipe that was passed to me had only a list of ingredients, with the instructions to combine in order given and bake. 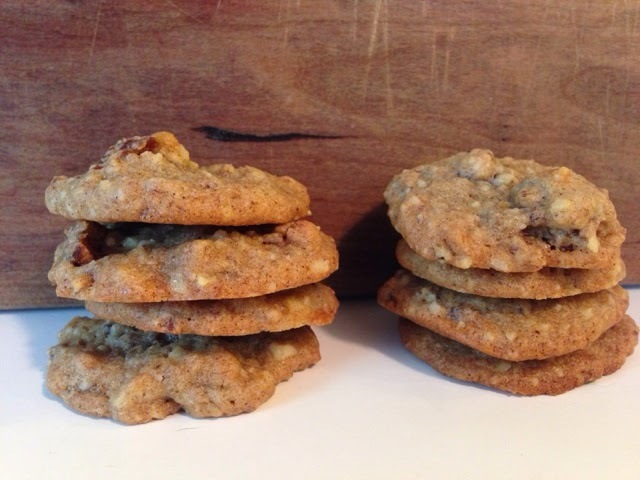 Hoping to get an idea of what the resulting cookie would look like, I wondered if anyone had made these cookies lately, on, say, another blog, so off to the Google I went. I found ONE instance of this recipe on the entire internet. 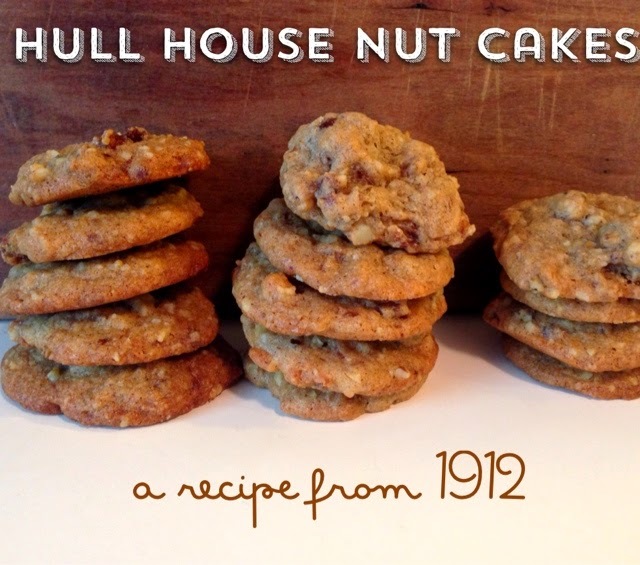 If it weren't for Radcliffe College's Culinary Collection preserving this piece of culinary history, and Google digitized books, this and all the other recipes in this book could have essentially disappeared. 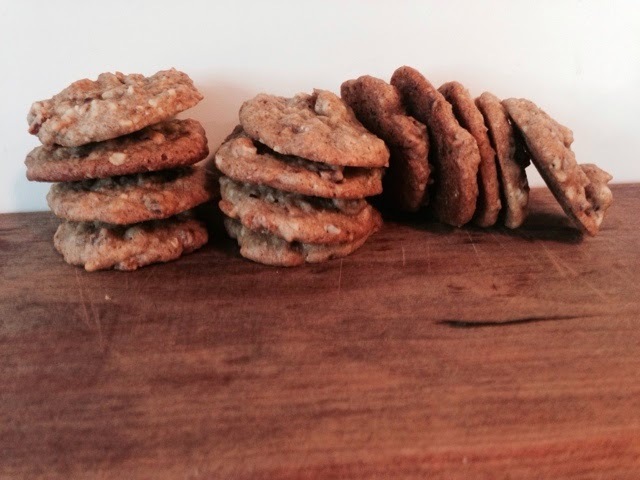 And when you make these cookies yourself, you will understand why that would have been a terrible thing, indeed. And so, I present, an important piece of our shared culinary heritage, an heirloom recipe modernized for today's baker. Pulse dates in food processor until chopped, and just beginning to pull together, stopping well before they turn into a paste. 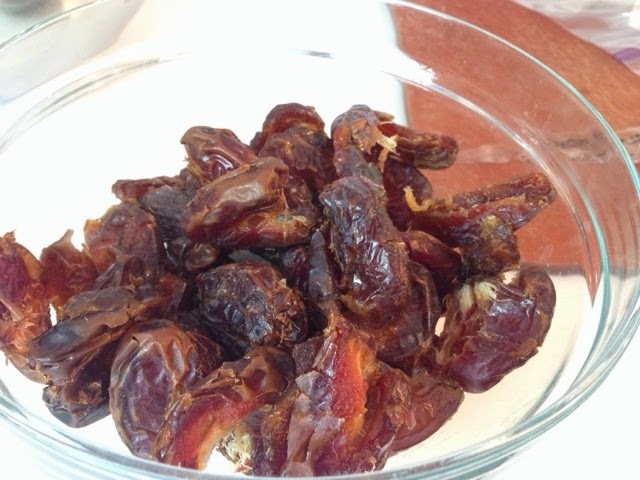 Pour water over dates, give them a quick stir, and set aside. 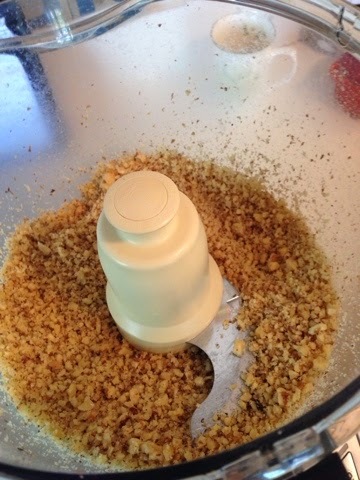 Chop walnuts in food processor until medium to fine. This is a small cookie, so you don't want very large pieces of nuts. Sift flour. Add baking soda, salt, cinnamon, allspice, and cloves. Stir until well combined. Add sugar and beat until light in color. 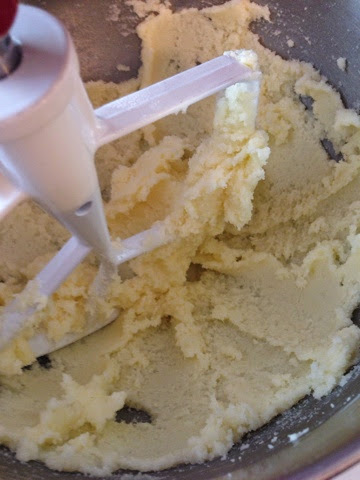 The recipe has a high sugar to butter ratio - so it will still be grainy when it is time to add the eggs. Add one egg at a time, beating each until fully incorporated. Fold in dry ingredients with a spoon. 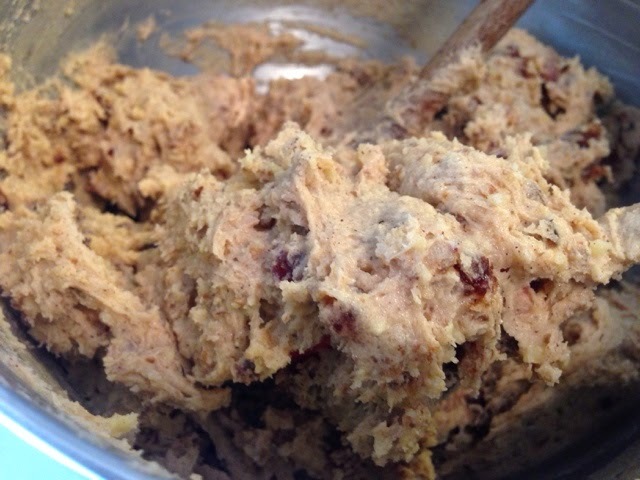 Add dates and walnuts. 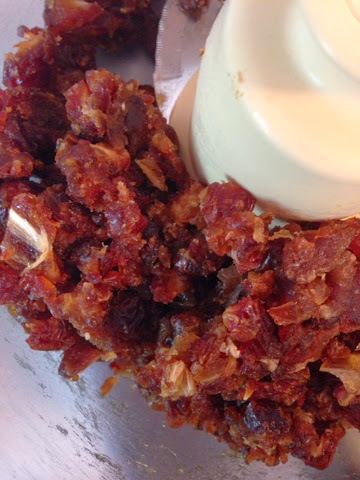 Fold in, ensuring there are no oversized clumps of dates, but do not over-stir. Put in refrigerator for 30 - 60 minutes to rest batter. Put parchment on baking sheet. Grease with butter. 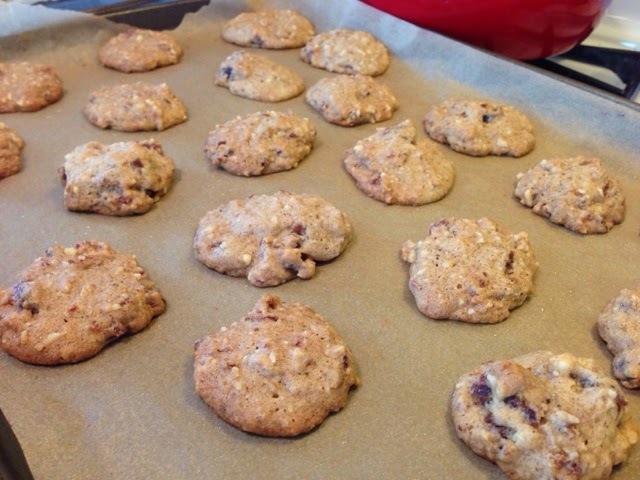 Drop cookies by the spoonful, making each a little smaller than a golf ball, leaving some room between for cookies to spread out. 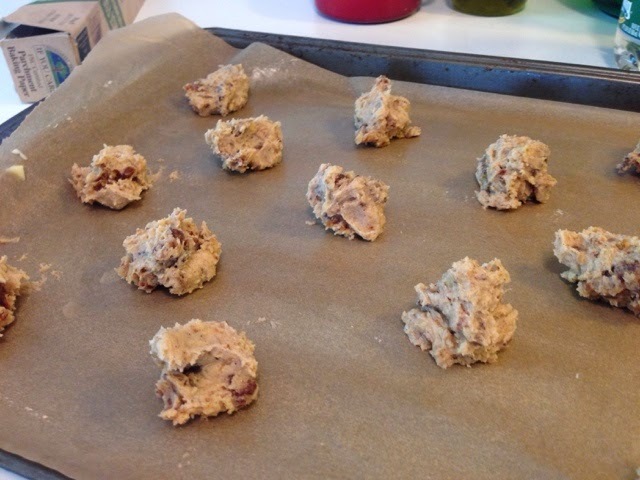 Place cookies in oven for 15-20 minutes until bottom is lightly browned and top is beginning to be golden brown. To ensure even cooking, rotate trays after 5 minutes. Cookies will still be soft when removed from oven. 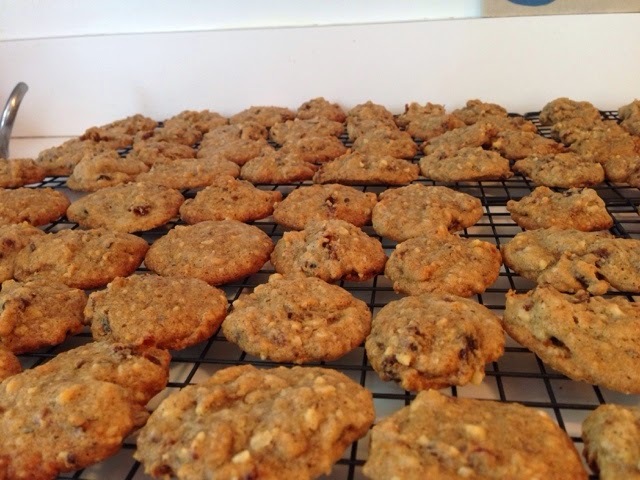 Transfer cookies to cooling trays when sturdy enough to be moved. 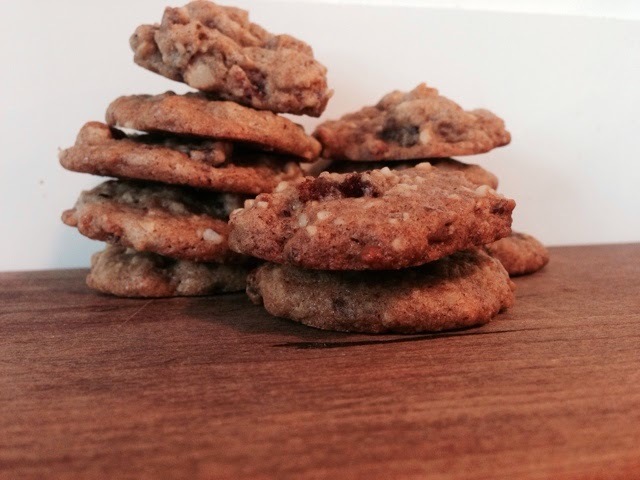 The resulting cookies are that perfect combination of crispy edges with a moist, chewy interior. They are definitely best the day-of, but they kept well in a tin for the next week. Dates are so uncommon in modern baked goods, it was interesting hearing people guess what they thought was in the cookies!